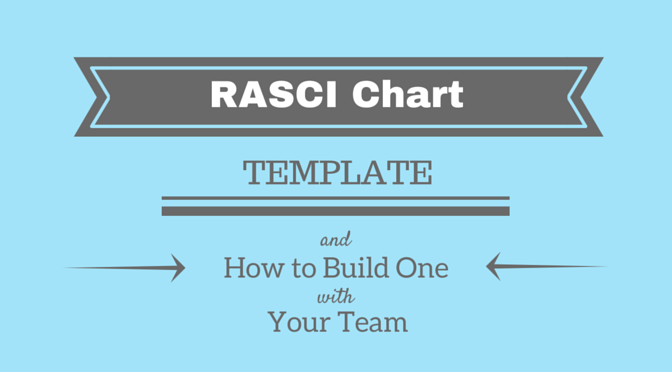 Creating a RASCI Chart (or RACI chart) will help build accountability. It’s not a simple exercise, but using this RASCI template will help. I’ve worked on many projects on which we didn’t use a RASCI Chart. But then again, I’ve worked on projects where we did, and every time I’ve done one, I’ve found value in it. It’s particularly beneficial when you’re introducing new processes and need clarity on roles. Read on to discover when and how to use one. The RASCI chart is used to help team members clearly understand who is responsible for each activity in a process or organization. Not only that, but it lists the varying roles and level of activity for team members for each task in the chart. If there is ambiguity about roles and who is responsible for various tasks, this document helps make this clear to all. 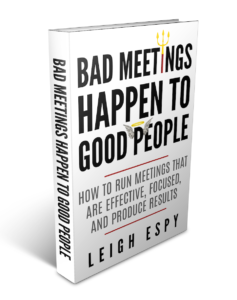 If you are implementing new processes or activities in the organization, it can be particularly helpful. For projects, you’re not simply trying to duplicate the Work Breakdown Structure (WBS). Rather, you want to focus on tasks that would benefit from having more detail defined around different levels of involvement. The project schedule generally only lists the person responsible for carrying out a project task. A RASCI Chart provides more detail regarding other roles involved. For example, if you have the documentation of processes and procedures listed as part of the project, the task might be listed as “Create Process and Procedure Document”, with one person being perhaps both Responsible and Accountable, and others being Supportive, Consulted, and Informed. Clearly lays out activities and responsibility for each. Activities are listed, and everyone who should be involved is identified. Identifies ownership for each activity. There’s no confusion or ambiguity about who has ownership for each role, since the person responsible for carrying out the activity is clearly identified. Ensures everyone is fully aware of their role. Roles and associated activities are clearly identified. Facilitates a discussion that can clear any confusion around responsibilities. Because this is done as a team activity, everyone has a chance to give input and ask questions. Serves as documentation regarding roles and responsibilities. If team members change, or there is a change in leadership, the RASCI serves as a reference document. Also, as the project moves forward through the lifecycle, team members may need to refer to it to refresh memories on the agreements/decisions. Promotes teamwork. Creating the RASCI is a team activity. Eliminates duplication of effort. Because activities and involvement are clearly documented, everyone is aware of who should be doing what. Ensures the correct people are involved at the right level. Because the document is created by the team, with buy-in and agreement, there’s greater chance that the right people are targeted for the right activities. Is it RACI or RASCI? And What Does RASCI Stand For? Whether you refer to it as RACI or RASCI, the tool is used for the same thing – to clearly indicate and communicate each project member’s role in certain activities. The letters indicate the level of responsibility for each action included in the tool. R = Responsible: The person who is ultimately responsible for delivering the project and/or task successfully. There is typically one role with a participation type of “R”, although others can be delegated to assist in the work required. A = Accountable: The person who has ultimate accountability and authority for the correct and thorough completion of the work; they are the person to whom “R” is accountable. There must be only one “A” specified for each task or deliverable. C = Consulted: Someone with whom there is two-way communication and whose input adds value and/or buy-in is essential for ultimate implementation. I = Informed: One-way communication with the person or groups of individuals who need to be notified of results, actions taken, and completion of the deliverables, but don’t need to be involved in the decision-making process. The only real difference between RASCI and RACI is that RACSI includes an “S”, for Supportive. RACI leaves that item out. Either of these formats works fine for teams. Creating and completing this tool will likely be an iterative process. Don’t get discouraged if you don’t complete it in one session. This could take longer if your project is large or complex. And if any project members are not involved in the process, you’ll need to ensure they know and agree with their role assignment. Here are the basic steps to go through to complete the chart. 1. Create your template (or download the one I’ve made available for you). List as many tasks/activities involved in your project or process as possible to get a good start on the document. 2. Use action verbs to describe the activities. Use words such as the following: create, document, approve, maintain, coordinate, provide. 3. Bring your team together to go through the document as a group. 4. Go through the tasks as a group and identify, for each task, where each of the letters should be applied, to show who has what level of involvement for each. 5. Every task should have an “R” and an “A”. 6. Try not to have too many “C”s. It will slow things down. 7. Identify gaps in information or involvement. 8. If there are too many people with “R” for a task, you may need to break it out to smaller tasks, unless you have multiple people/teams performing the same task in parallel. For example, you have created multiple teams who do the same types of tasks independently. 9. Allow everyone time to review the RACSI with their respective sub-teams if applicable. 10. Get approval/agreement from all on the final allocations of responsibility. You now know how to create a RASCI Chart from scratch. But you could instead start with a template. I’ve included a free RASCI template for you to download if you’d like to use it rather than building one from scratch. Just use the download link below. And of course, let me know if you have questions! The RASCI can be tricky the first time you do it, but can ultimately be worth it.